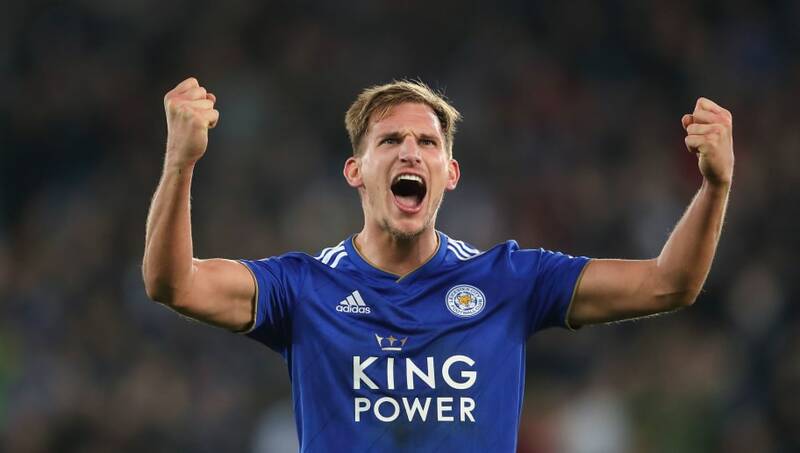 Leicester winger ​Marc Albrighton has signed a new three-and-a-half year contract which will keep him at the King Power Stadium until June 2022. Albrighton joined Leicester from Aston Villa in 2014 and went on to play every Premier League match when the Foxes sensationally won the title in 2015/16. At the age of 29, he remains a ​Leicester regular and has been used equally on both wings this season by Claude Puel. The Englishman was delighted to extend his stay. "It was totally straight forward. Leicester offered me a deal and I was always going to sign it. I’ve had some good times here and hopefully I can continue to do so," Albrighton told ​LCFC TV after putting pen to paper. "When I first signed, I looked at the squad that was in the dressing room and the Club itself in terms of its fanbase and what sort of club it was. "It was a family Club back then and it’s a family club now. It’s something that suits me down to the ground. It really fit in well with me as a person and it’s the perfect fit for me." Albrighton has been at the heart of many great Leicester moments during his time at the club. He scored their first ever Champions League goal against Club Brugge in 2016, and also completed the comeback against Sevilla in the last 16 later that season. Albrighton has featured in every Premier League match since the second weekend of the season, scoring twice, including in last month's surprise win over Manchester City.